If It's Hip, It's Here (Archives): Architect Craig Steely Partners With Jeepney Projects To Design A Philippine Eagle Reserve Ecolodge With Modern Ecopods. 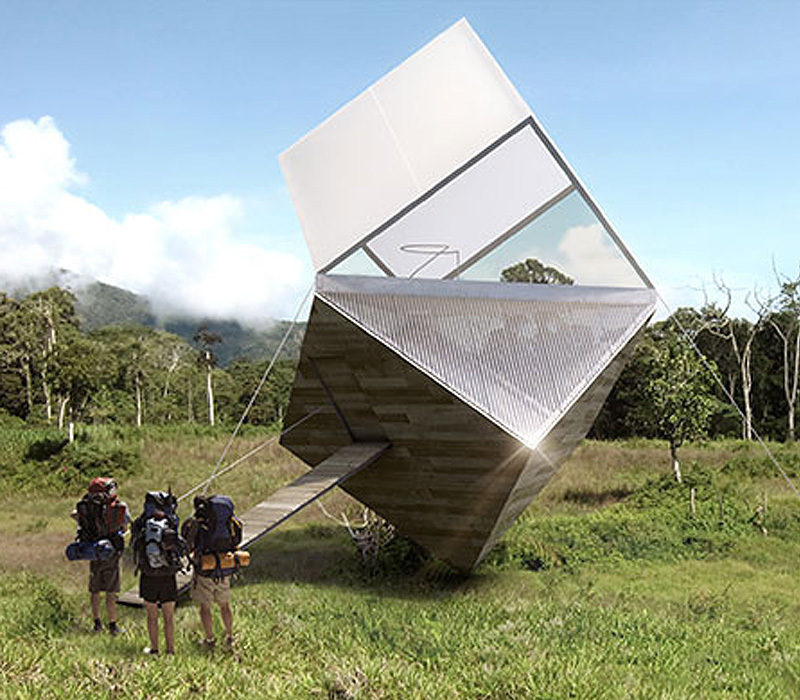 Architect Craig Steely Partners With Jeepney Projects To Design A Philippine Eagle Reserve Ecolodge With Modern Ecopods. 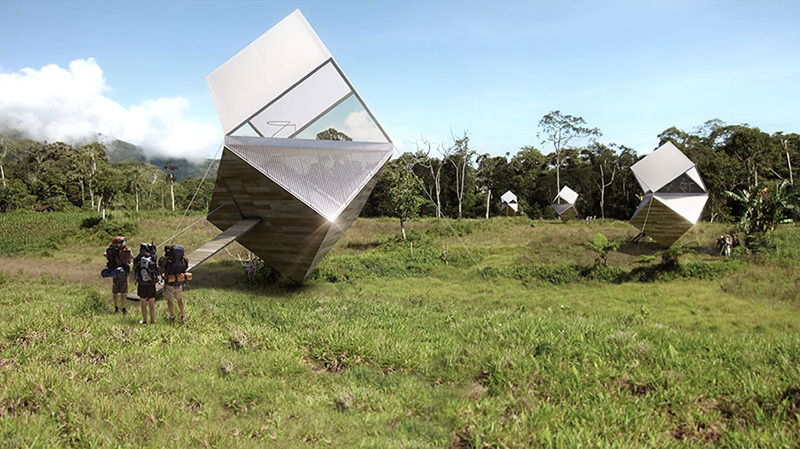 Architect Craig Steely has partnered with Jeepney Projects Worldwide to conceive of and design an Ecolodge in Mindanao. 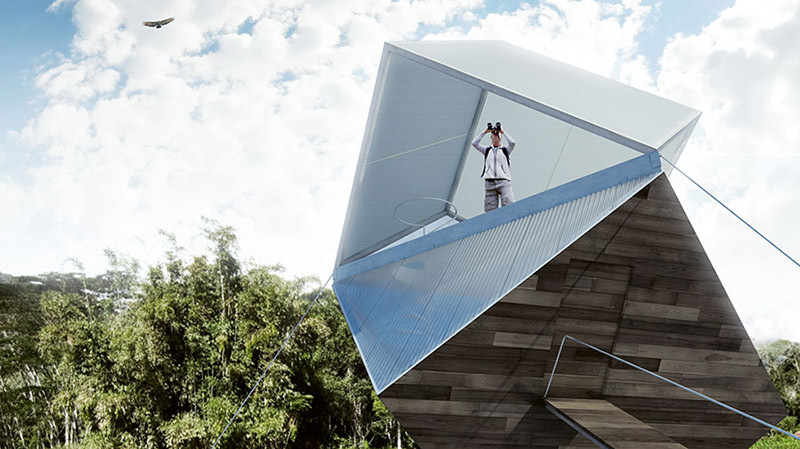 His vision includes these beautiful prefabricated ecopods to help create respect and awareness for the world's rarest eagle, the Philippine Eagle and its natural habitat. Each prefabricated pod is supported on a single pier foundation with supporting guy wires. This allows each pod the flexibility to be placed on any topography as well as the ability to relocate if required. The top prism has a fabric roof with screen walls while the lower prism is translucent and made with locally reclaimed corrugated wood walls. The ecopods can sleep 6 people on the 2 floors. 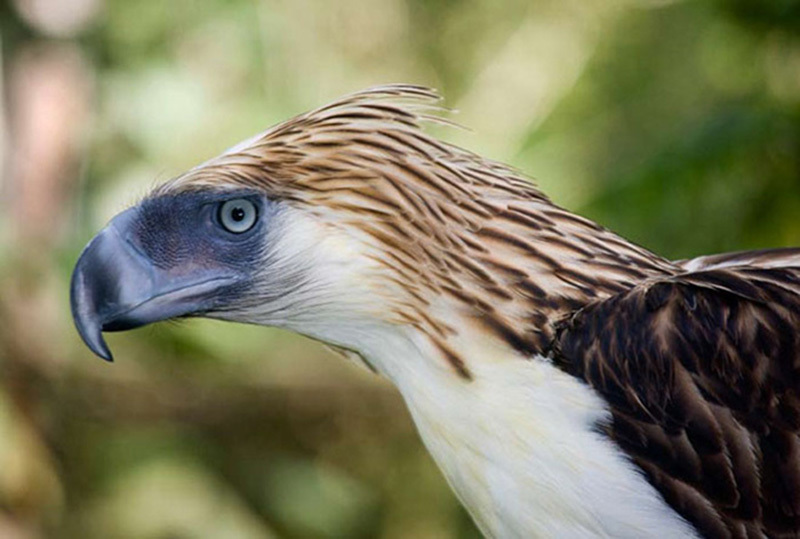 Presently local farmers create income by slashing forest and eagle habitat, replacing it with grazing land for livestock and pushing the already dwindling Philippine Eagle population closer to extinction. 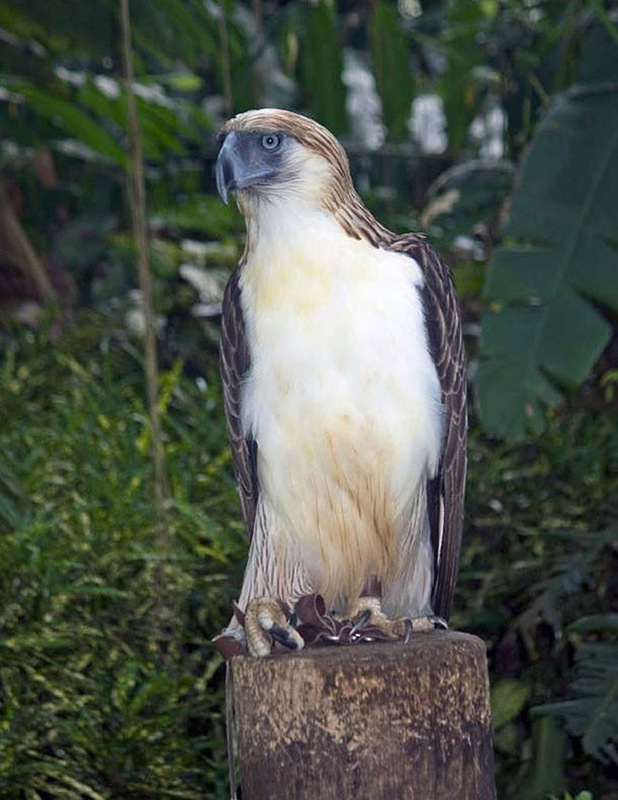 above: The Philippine Eagle Foundation uses nonreleasable male eagles that can’t be released for artificial insemination and public display. 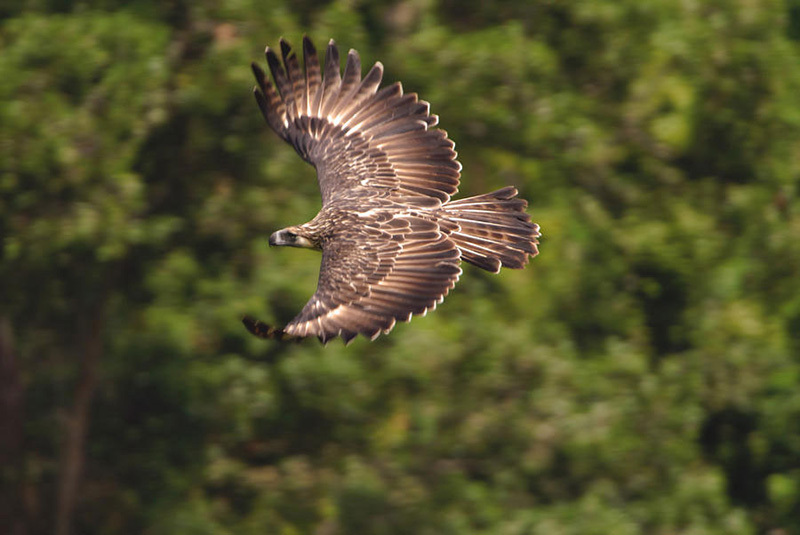 Carefully managed eco-tourism will create a stronger local and international awareness for the eagle’s plight as well as the financial means to employ and subsidize the local residents. Ultimately, the goal is for the local people to see the value in stewarding the land and change their perception of the eagle from a pest to an asset. 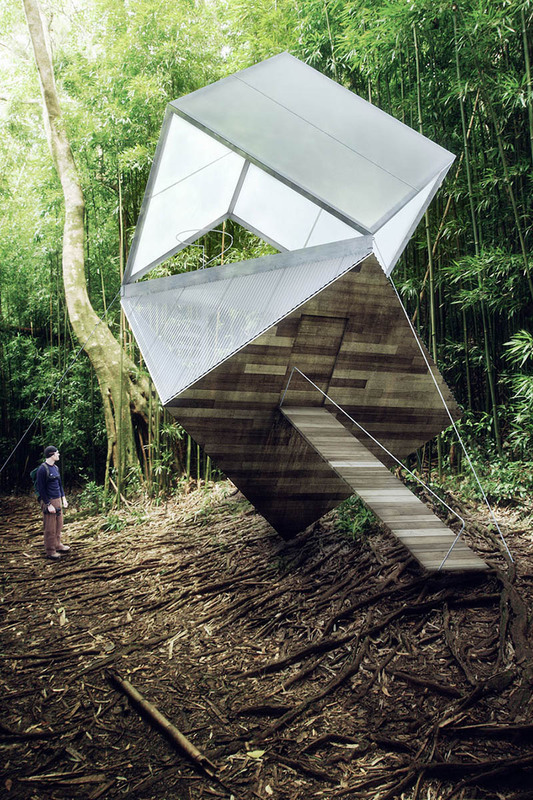 Craig Steely is a San Francisco and Hawaii based architect. He opened his architecture studio in 1995 and has been a guest lecturer at UC Berkeley and at Cal Poly and at many conferences including the Monterey Design Conference. His work has been awarded recognition by the American Institute of Architects and published widely in books and periodicals, among them Dwell, Sunset,Architectural Record, California Home and Design, the Los Angeles Times, the San Francisco Chronicle, and the New York Times. In 2009 he was selected as an “Emerging Talent” by the AIA California Council. Jeepney Projects is proud to have caught his interest and support.